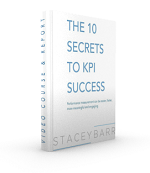 If you want good KPIs, your KPI approach has to be good. Use this KPI approach self-assessment to find out if yours is a good one. 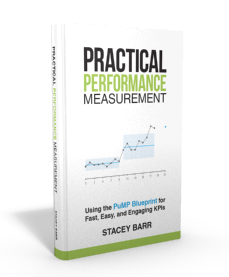 A good KPI approach is not a list of measures to choose from. It’s not boxes to align them to. It’s not the opinion of self-proclaimed experts. And it’s not the demands of stakeholders who themselves have no proven mastery in good KPI development. Firstly, download this self-assessment template. I liked this article very much. I would like to reproduce it in my blog, but I need it in Spanish. If you don’t have a Spanish version, do I have your permission to translate it? I will send you a copy for your own use if you think I have done a good translating job. Tommaso, thanks for your interest in the article! I am in the process of completing my Masters in Quality Management as one of the questions asked was ” Critically appraise the method in which your Process Measurement system is developed”. In your opinion what would you use to evaluating this. 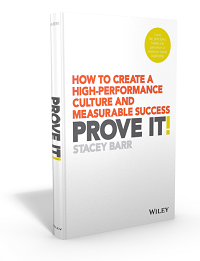 Would you carry out a survey with the performance team or something else.